Hungarian Dance No. 5 sheet music, play-along track, and more! - Plus, DISCOUNTED rate for your school on classroom membership! - Step-by step instructions and notes to play this song on your own at 5 levels of difficulty! - Free bonus play-along track with 5 levels of difficulty included! - Absolute beginners through advanced players will find this song fun and challenging! - Coloring page practice chart to have fun while tracking progress! 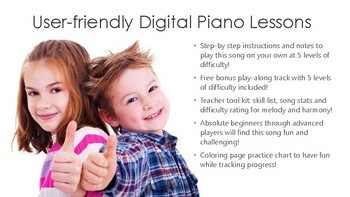 - Teacher tool kit: skill list, song stats and difficulty rating for melody and harmony! Don't see the song you want? Click here to request it. 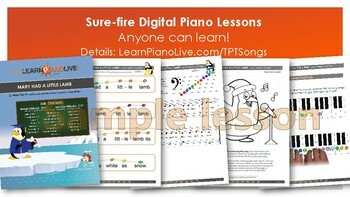 FREE: Non-Linear Piano Basic - Ready, Set, Print and Teach! Selected excerpts from the Non-Linear Piano Deluxe Worksheet Mega Pack, the definitive collection of the most helpful charts, worksheets, and printables on the web! Klopol Academy is a formal, standards-based certification program that allows students to measure their progress and compare themselves to students in music academies like Certificate of Merit or Royal Conservatory. 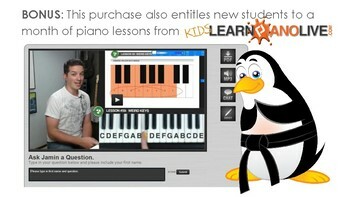 Students will earn prizes as they log their practice time and submit videos to acheive each of the 12 levels and become a "super piano ninja", proficient at scales, sight reading, music theory, and all the other skills they need to be well-rounded musicians. 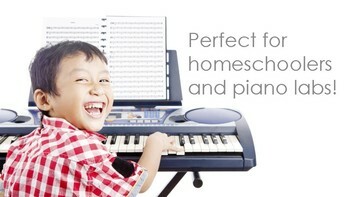 Promote and educate a family of humble, encouraging pianists.